The US State Department decision to blame Russia for the poisoning of Sergei Skripal without any evidence amounts to “flicking matches in a gasoline-filled room,” former US diplomat Jim Jatras said. The announcement of sanctions on Wednesday came despite the fact that the US is entirely aware that Russia was not responsible for the poisoning of Sergei Skripal in Salisbury, UK in March, he said. Both spoke to RT about Moscow’s impossible position when it comes to its non-existent role in the Skripal poisoning. “How do they prove a negative?” Maloof asked. “We are getting very close to the line of the kind of breaking of dialogue, the breaking of relations that occurs between two countries only when they’re on the edge of war. 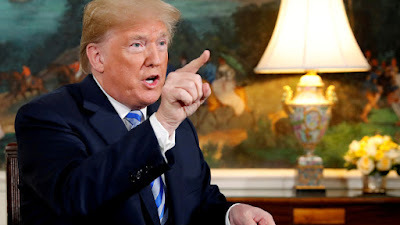 I don’t think the people here really understand the kind of gasoline-filled room that they’re flicking matches into,” he said, specifically mentioning the second round of sanctions, which could downgrade diplomatic relations and cut off Aeroflot flights to the US. The former US diplomat also noted Washington’s hypocrisy in its demands. he asked, while pointing out that the US itself hasn’t destroyed its chemical stocks under the Chemical Weapons Convention. However, there’s probably more to the sanctions than meets the eye, according to Earl Rasmussen, executive vice-president of the Eurasia Center, who told RT that it needs to be looked at “from a much greater geopolitical situation,” noting the situation in the Middle East, from Syria to Iraq. “Obviously, Russia’s had a significant hand in putting down Al-Qaeda and ISIS (Islamic State), and blocking a lot of things that the US establishment had there,” he said. As for the Kremlin’s role in the baseless accusations, Rasmussen said he has “huge respect” for the Russian Foreign Ministry and President Putin for their handling of the situation. “They're probably the most grown-up foreign diplomats out there and the most professional as well,” he said.